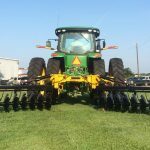 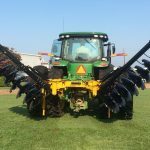 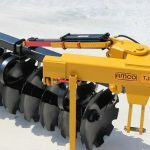 With the AMCO Manufacturing Terracing Plow (model TJ3), you can build 1,000 feet of terraces or more per hour, working within Soil Conservation Service specifications. 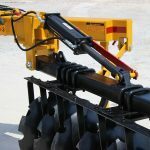 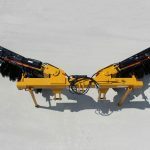 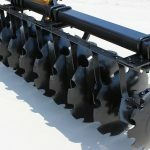 This terracing plow design is unique to AMCO and can be integrated with your own equipment and operated by your own laborers, saving you time and money when compared to the same terraces built with bulldozers, scrapers, and other large earth-moving equipment. 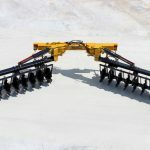 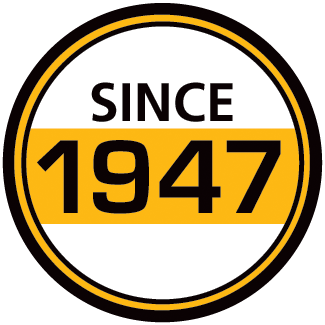 The AMCO Terracing Plow builds and packs the terrace with multiple trips through the field. 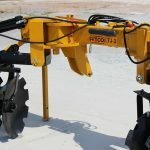 In addition to building new terraces, this AMCO tool is effective in refurbishing older terraces.